Zoom TPS-3 (TPS3) Three-Legged Tripod Stand (XACTPS3). 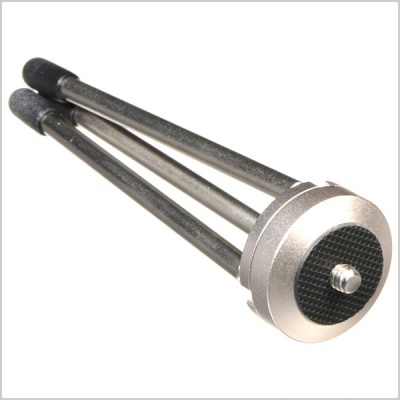 The Zoom TPS-3 Tripod Stand is compatible with any of Zoom's audio or video Handy Recorders. Use it to record video with your Q2n, capture spatial audio for VR with your H2n, or mounting an H4n Pro during a podcast or performance. No matter the project at hand, the three-legged TPS-3 provides the flexibility and support you need to get the perfect angle or shot. 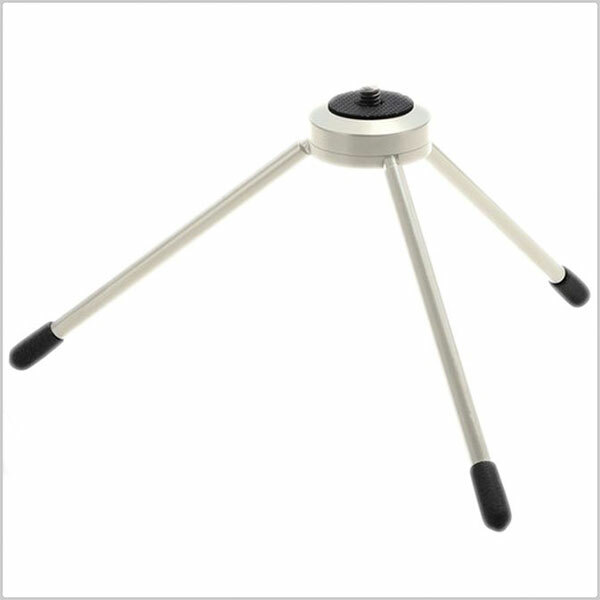 Its sturdy build and rubber feet mean you can always be certain that your camera or audio recorder is secure when mounted to the tripod. The ultra-portable TPS-3 stands just above three inches tall, so you can take it with you anywhere. Plus, its universal ¼” screw thread makes simple to use with any Zoom Handy Recorder.